Namibian rider, Dan Craven, outsources the decision-making to his 14,000-strong Twitter following. Craven again, reacting to the remarkable new WR set in the women’s 10,000m in Rio. Michael Gane, the rather suspicious France Sprint Coach, after Team GB dominated the Men’s Team Sprint (and the entire track program) for the third Olympic Games running. A smiling Sir Bradley Wiggins, referring to track arch rivals Australia before the Men’s Team Pursuit. 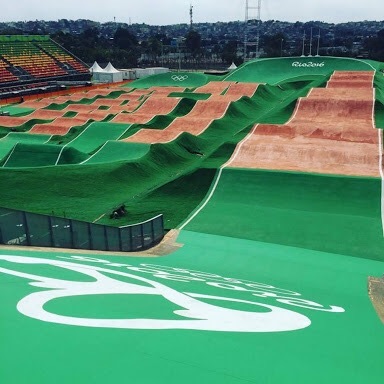 Caroline Buchanan after her first training session on the spectacular Rio BMX track. A teary Anna Meares bows out from the Women’s Sprint – and her glittering Olympic career. What a legend.